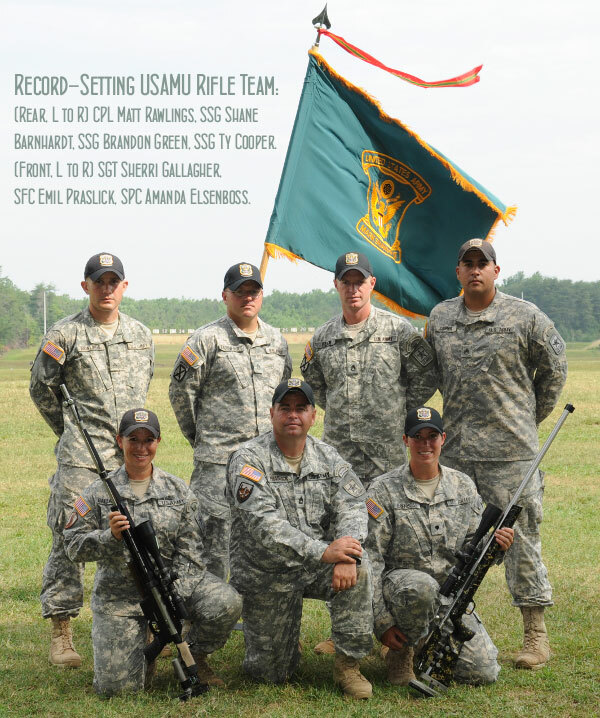 Along with the great performance by USAMU Team Praslick, USAMU Service Rifle shooters coached by SFC Jeremy Mangione set a new Service Rifle record. Using .308-Caliber AR10-type rifles with 185gr Berger bullets, the Team posted a 1154-33X Aggregate, a Service Rifle Team Record. That’s amazing considering these shooters were aiming with military-style iron sights with a post front sight. 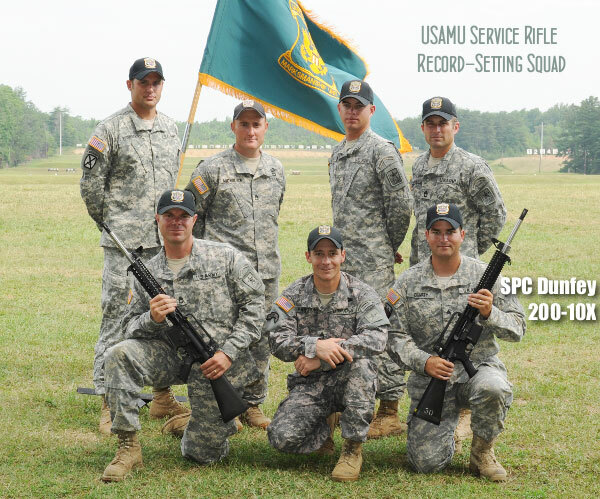 One of the squad’s shooters, SPC Augustus Dunfey, recorded a 200-10X. Coach Praslick called this a “spectacular individual performance”. Praslick told us that Dunfey’s 200-10X “is definitely the highest [20-shot] Service Rifle score shot in Interservice 1000-yard competition. 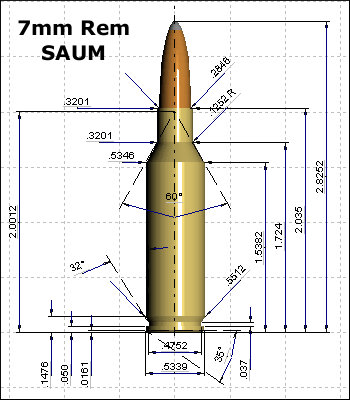 And, as far as anyone can remember, it is the highest [20-shot] 1000-yard score ever shot with a Service Rifle anywhere.” SPC Dunfey was shooting at a target with a 20″ 10-Ring, and 10″ X-Ring. This means, using a stout-recoiling .308 rifle with sling (no rest) and relatively crude sights, Dunfey put half his shots inside one MOA and did not drop a single point. That’s impressive…. Share the post "USAMU Teams Set 1K Records at Interservice Championships"